Cash box features a key lock and removable tray with 10 compartments. 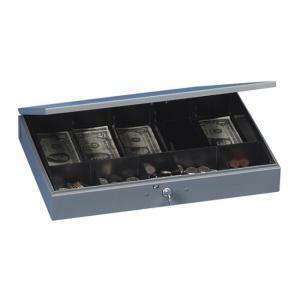 Tray has five long compartments for cash and five smaller compartments for coins. Heavy-gauge steel construction includes heavy-duty hinges. Cash box includes two keys.